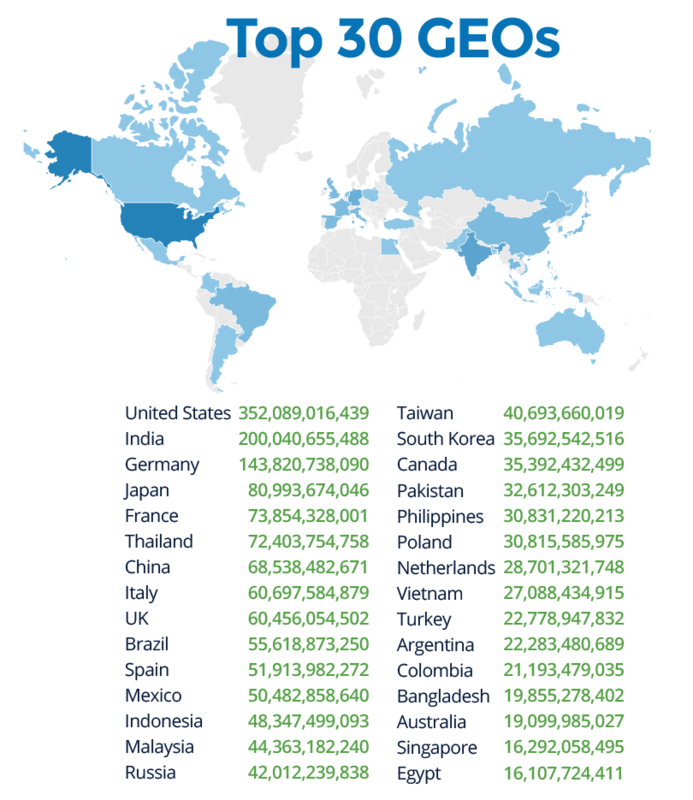 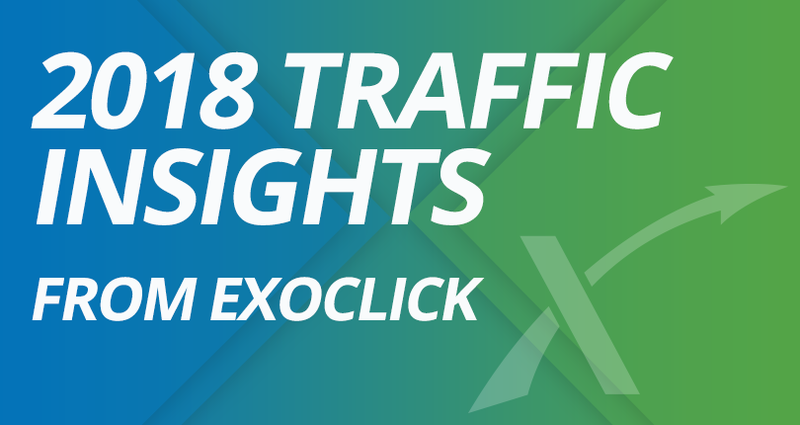 Our Business Intelligence team have been looking through all the data generated on our network throughout 2018 to bring you some fascinating traffic insights. 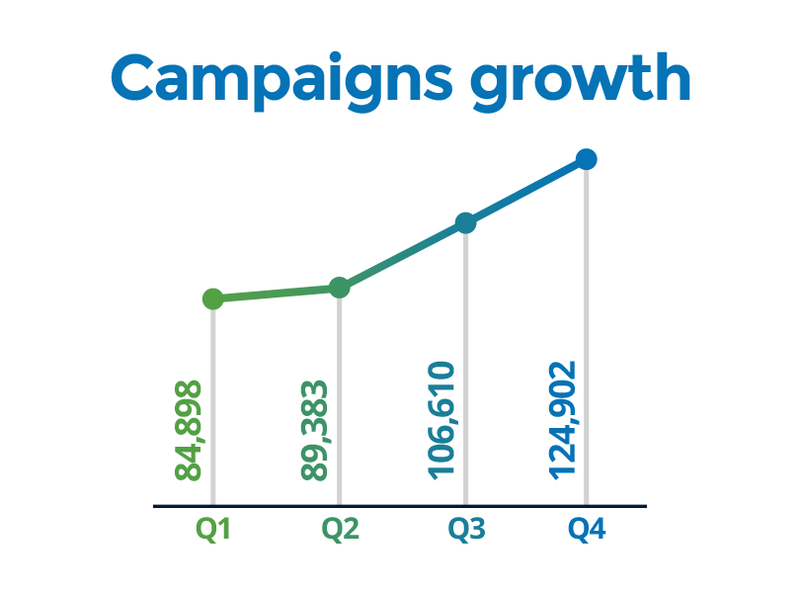 That is an average of 20.81% increase of impressions and 44.37% more clicks per site! 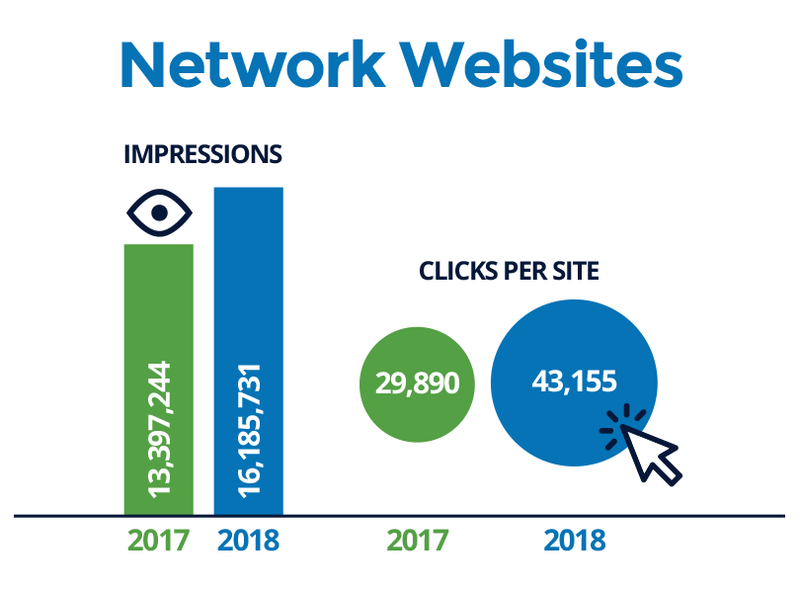 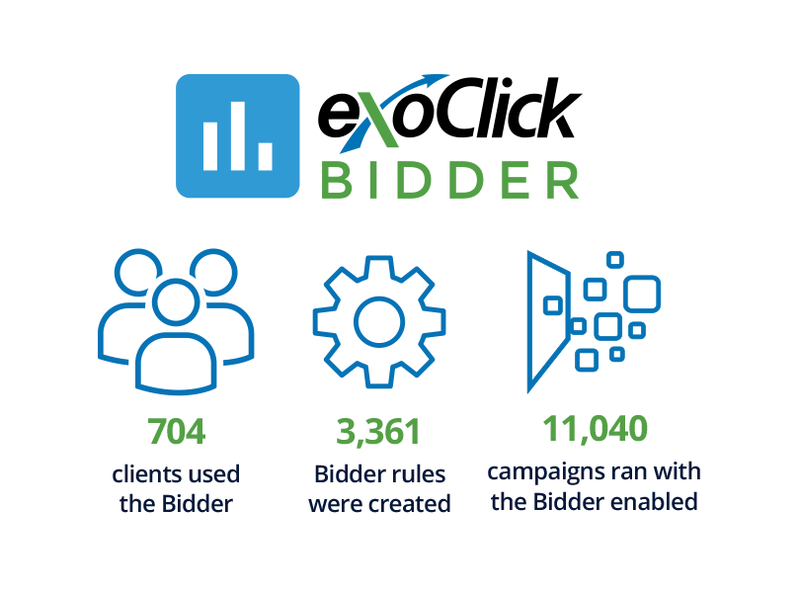 We looked at a selection of our ad formats across all websites and GEOs on our network, then we examined the impressions served versus end user clicks. 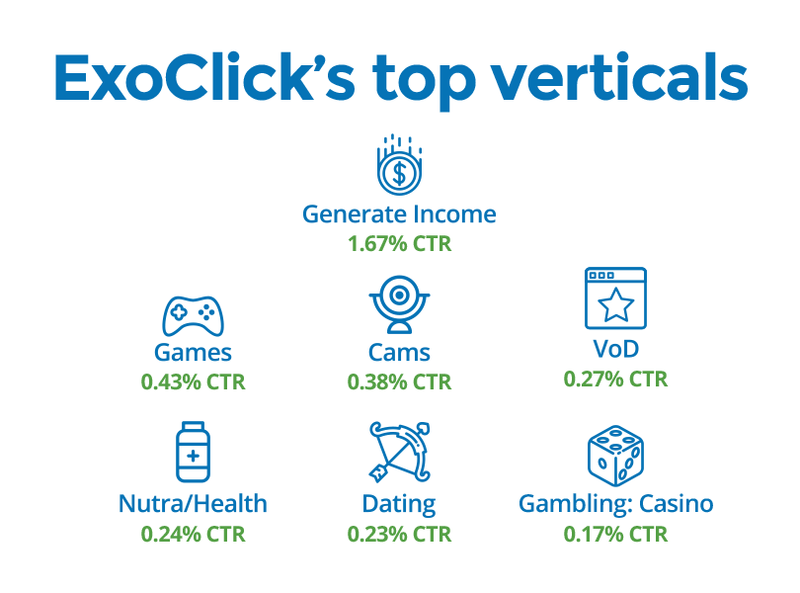 This was to tell us what the average CTR was for the Top 5 converting verticals for each ad format. 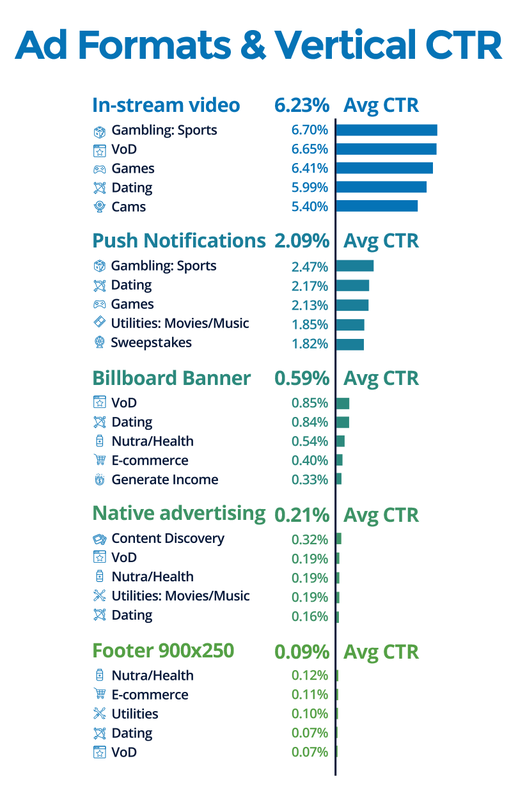 We hope that these insights provide you with some facts to help you make the right decisions when targeting your offers to potential customers.